derfwadmanor - Derfwad Manor - There Ain't No Pause Button in the Throes of Hankering, Part Two. Mr. and Mrs. G. went on several dinner and movie dates before Mrs. G. invited him to her shabby studio apartment for a home cooked meal. Looking back, Mrs. G. realizes how crucial those initial nights on the town were for igniting and sustaining the spark necessary to start a five-alarm fire. In other words, if Mr. and Mrs. G. had bypassed the romantic dinners in small cafes or the Spanish coffees in smoky bars and gone directly to Mrs. G's pad, the twinkling embers of fresh longing could have hissed, fizzled and died. Because Mrs. G. was young and green. Her apartment was stark. 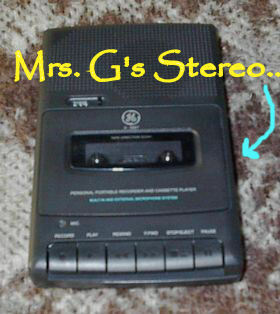 And Mr. G. was her first gentleman caller. and a plastic, silver bladder of wine in a box. She assembled everything artfully and waited for Mr. G. to knock on the door. 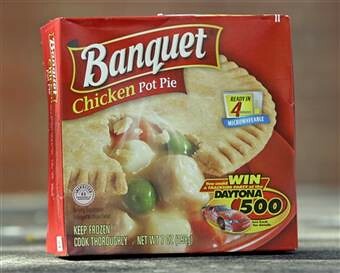 He did, God bless him, and he didn't bat an eye at the frozen dinners they were about to eat on the twin mattress that served has Mrs. G's couch. She did put on her best bottom sheet and turn on the sparkly year-round Christmas lights she believed created an alluring milieu. He did suggest they serve the wine he brought, but he didn't laugh when Mrs. G. told him she didn't have a wine screw because, duh, her wine had a spigot. No matter. She just cranked up some Melissa Etheridge cassettes on her hi-fi, and they enjoyed a nice dinner together. 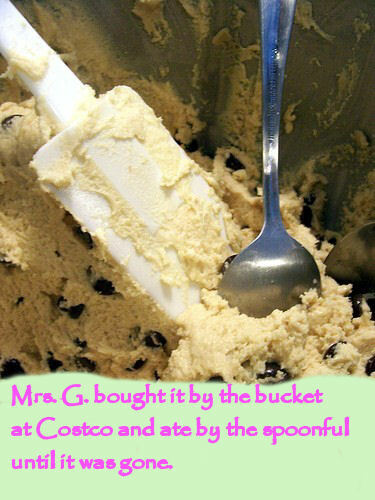 After dinner and a few spoonfuls of cookie dough, Mr. and Mrs. G. went for a long walk in her neighborhood. On their way back to her place, Mrs. G. saw a dresser someone had put out on the curb. She needed a dresser, so she asked Mr. G. if he could help her carry it up to her place. He took one end and she took the other. It was the perfect dresser. The exact one Mrs. G. had been looking for. 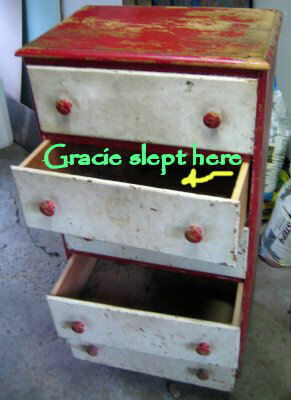 It had four drawers -- three for her clothes and one for her cat Gracie to sleep in. 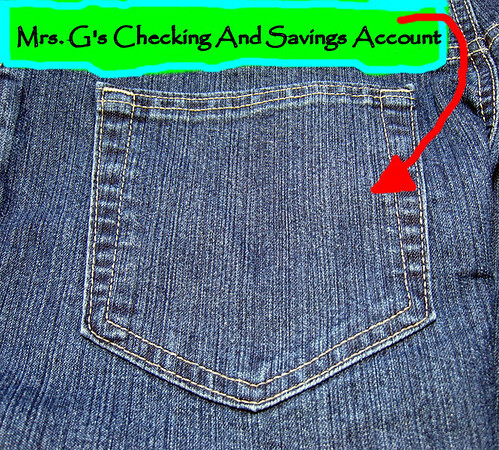 It was at this point, Mr. G. says, that he realized that he didn't have to worry about Mrs. G.
marrying him for his money. Or being bummed when she discovered that he didn't have any either. It was also at this point that Mrs. G, not one to waste time or sell a false bill of goods, sat Mr. G. down and explained that she had been declared mentally touched, and occasionally unzipped by paid medical professionals. She figured if he was willing to haul a banged up dresser up three flights of stairs, he might be willing to haul a banged up woman through life. And he was. The long haul. And even when she temporarily hates him, she loves him because of who he is: a kind, good man. But really, reader, who needs money or mental stability when you are called to write important plays about important things like important problems and important feelings? You just write your truth and all the rest will fall into place. Or it won't. But who cares, because, ultimately, passion is more important than money. Passion is more filling than any actual food. Can we just take a moment and thank the Universe that freshly fallen love is blind and deaf. OK, where was she...oh yeah, passion is more important than money. Passion is more filling than any actual food. Until you have a kid. And then the third act ends with actual food in the fridge and a package of Huggies on the changing table. A new kind of passion, no less shiny but more filling. But Mrs. G. is getting ahead of herself. 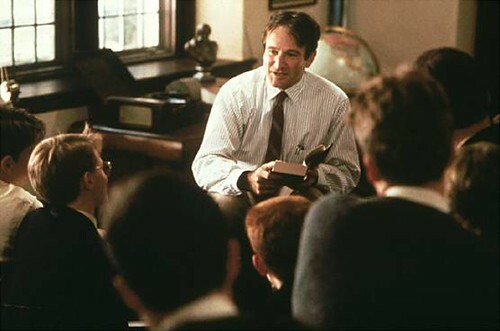 She and Mr. G. carried the dresser up to her apartment, talked, drank some wine, ate a few more bites of cookie dough and went to see a late showing of The Dead Poet's Society--where Robin Williams spends most of the movie dramatically orating about, what else, passion. Carpe diem, Carpe mane, Carpe post meridiem, baby. Mrs. G. talked about it the whole way home, and all the way up to her door where Mr. G. said goodnight. His ears probably wept from relief on his drive home. And yet he called again. And again. And again. And then they married. True story. I love this, with passion. My husband buys wine in a box. We call it cardbordeaux. I give him tender grief over his lack of taste in wine, but he's a keeper. Also, please tell me that you still have that dresser! It's a keeper, too. What a beautiful post, Heather. True love! A truly lovely story. Two good people deserve each other. What a lovely story. I love it. Kindness is non-negotiable. If you aren't kind to each other, what's the point? I congratulate you both on recognizing each others' strengths and choosing to accept each others' weaknesses. He saw you for who you are and bought the whole package. It took me years, years, years to realize that Mark really did love me. I just didn't find it possible. Love means warts and all. I so love that you two are a unit. It is wonderful when the things we see in each other in the beginning manage to remain and sustain us. Similarly struck in the funny bone by the words "pink flavor". Your writing rocks. 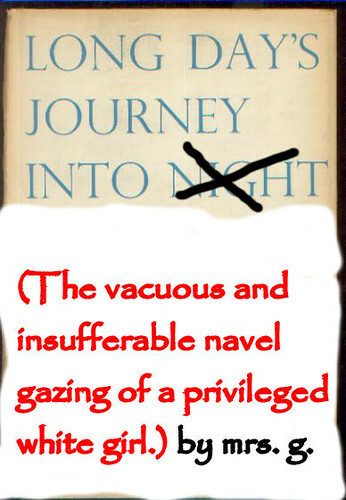 Thanks for this illuminating back-story! "Cardbordeaux!" that's a good one! Mrs. G, is that really your apartment building? It looks just like the building on Capitol Hill I had a studio in, back in 1980. A good story to end a good weekend - and it's true too: the best! a most perfect pair, you two. thanks for the stories, and passion beats the rest any day of the week! Oh how I love it when you tell stories of your past. 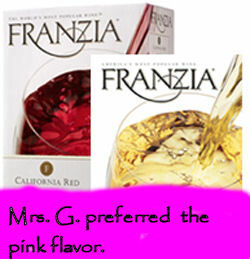 Ah, think you got a keeper there, Mrs. G! Aww, what a great story! I like pink flavor carboardeaux, too! I know no one can share their life completely but I so appreciate the humorous and vulnerable glimpses you give us. Beautiful. Karen, carboardeaux FOR THE WIN! December 9, 2013 | Mrs. G. Awww....I'm a sucker for a happy ending! love these clear-eyed looks back at young love. Your first date story charms me.